Dishes are piling up. Laundry is piling up. Your to-do list looks more like a Charles Dickens novel than a list at all. Oh, and you can’t remember the last time you vacuumed the floor (that your toddler is eating his spilled Cheerios off of). As a mother, you’re always adding more and more to your list. It may seem like you’re taking one step forward and two steps back. 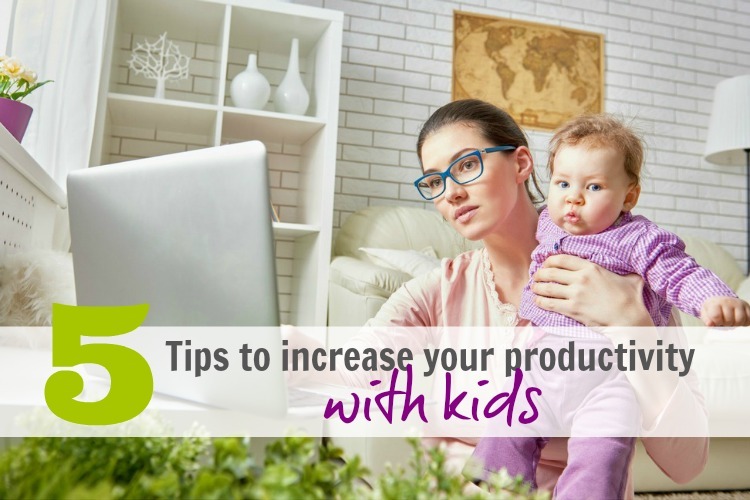 However, there are things you can do to increase your productivity with kids. I will admit these tips are probably things you’ve heard before. But sometimes when our days and our sanity seem to be slipping away from us, it’s good to have a reminder. None of these tips are hard. They are just hard to get in the habit of. So let me encourage you, momma. You’ve got this. Pick one or two tips and start putting them in place today. Then stick with it. You can do it! Write out your To-Do List for the next day before you go to bed. Making your day’s plan the night before already puts you one step ahead. You know what you need to do and can get on task first thing in the morning. Also, when writing your list, don’t overwhelm yourself. In my years of sales training, I was taught to make your 6 Most Important List. These are the six items you have to get done today. Prioritize your to-do list based on what’s most important. Of course, I know that 6 items barely touches the multitude of things that should be done. And that’s fine. Make a running list of all the other things you need to do. These can come after your 6 most important items. Whatever doesn’t get done on your 6 Most Important List, gets rolled over to tomorrow’s list. Texting & phone calls – Texting makes it so convenient to send a quick message, but I know that some of my girlfriends can get pretty chatty on text. So if you’re going to reach out to a friend, schedule time for it. I plan my phone calls for when I’m in the car going to pick up my youngest from preschool. I dial the phone in my driveway and use my Bluetooth speaker clipped to my visor so I can talk and still have both hands on the wheel. It’s a 10 minute drive to preschool which is a nice time limit for both you and the person you’re calling. Errands – While you can’t always determine traffic or the wait in the checkout lines, you can schedule your errands to be the most efficient use of your time. Map out (even just mentally) the stores you need to go to and the quickest way to get there so you don’t have to do any back tracking. I will often write my errand list in the order I am going to each place so I don’t get distracted en-route and forget where I’m going. Also, if possible, don’t do errands during rush hour so that you’re not sitting in traffic as long. 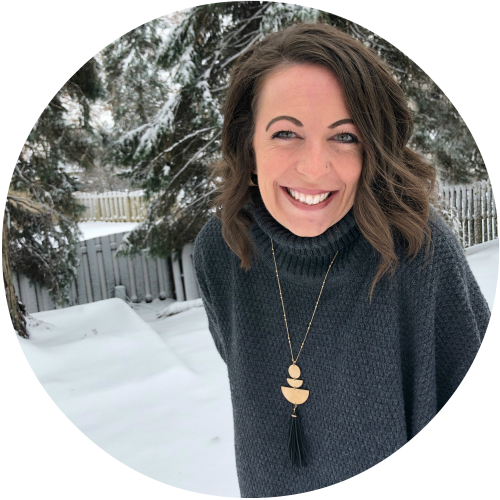 Play time with your kids – I know this sounds terrible to have to “make time” for your kids, but how many times do we get busy doing our own thing and never make it into the play room to spend one-on-one time with our kids. I am guilty of thinking “he’s playing really well on his own right now, I’ll go in later”, but later may not come. This time with our kids is precious. Let’s make time for these little ones a priority. BTW… did you know that for every 15 minutes you play with your kids, it fills their need for attention for about 30 minutes. 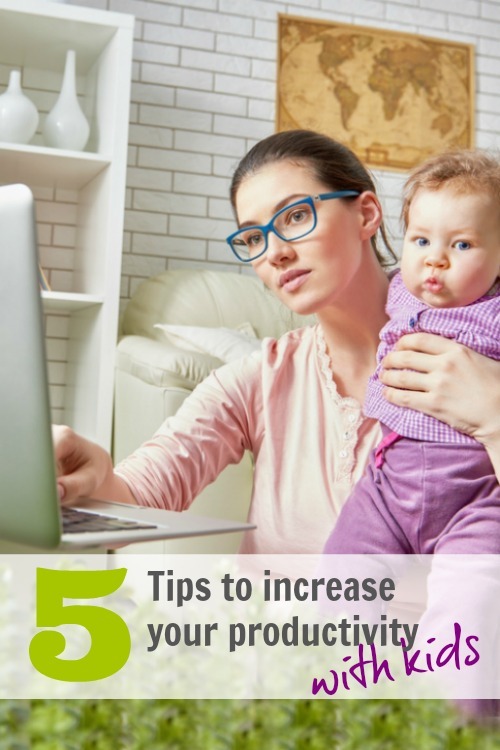 Which will satisfy two things… spending time with your little one and then more focused productivity time for you when the little one is happily playing on their own. You may not realize it, but you always have pockets of time. It may not be a big task that gets completed, but crossing one little thing off your list is still an accomplishment. Have 5 minutes until you have to take the kids to school? Water the plants or start unloading the dishwasher. Write out your grocery list while you’re waiting in the pickup line at the school. I often unload the dishwasher while my boys are working on homework. I like to stay close to them in case they have a homework question. So they sit at the kitchen counter and do their work while I do mine. Look for the “pockets” of time throughout your day. It is amazing what you can get done when you make the most of this time. Whenever you have the chance to multitask, do so. It might be cooking dinner while helping the kids with homework or getting the kids lunches ready while the laundry is washing. You can get so much more done when you multitask. What can you do now to make tomorrow easier? Yesterday, I was putting together lunch meat sliders for my boys so the babysitter didn’t have to do it. While I made their sandwiches for last night’s dinner, I made extras for them to have at school today. Or when I get home from the grocery, instead of putting my fruit directly in the fridge, I’ll box up several days’ worth of school snack boxes so they are ready to go in the mornings. Or… cutting produce when you return from the grocery is a huge time saver during the week. There are several food prep time saving tips. Even laundry… when putting away laundry, lay out your child’s outfit for tomorrow morning. Just a few more minutes of a task now could save lots of time throughout your week! Being a mommy of three boys, I know that some days are a losing battle against the clock. Unfortunately, you will have those days. But there are so many little things you can do that will make a big impact on your productivity. Please tell me, what productivity tip will you be implementing? Ok, a small part of me wondered if I was going to click on this link and see the advice, “You can’t, give up now and just wait until your kids are older,” haha! Somedays it does feel like that:) These are some really great tips to keep in mind. Planning ahead is huge. Sometimes on Sunday night we’ll have a “family council” and talk about everything we have coming up in the week (activities, sports, parties, which kid is buying lunch on which day, etc) and those weeks always run the smoothest. Thanks for sharing this!